Our customer Andrew asks are yamaha tuner skis in stock and what size carbide is needed? Yes, Yamaha Dual Tuner Skis are a regularly stocked accessory. Each ski features 2 keels for 2 runners slightly angled to help with snow evacuation. Customize your ride by choosing runners with carbides ranging from 0, 2", 4" or 6". 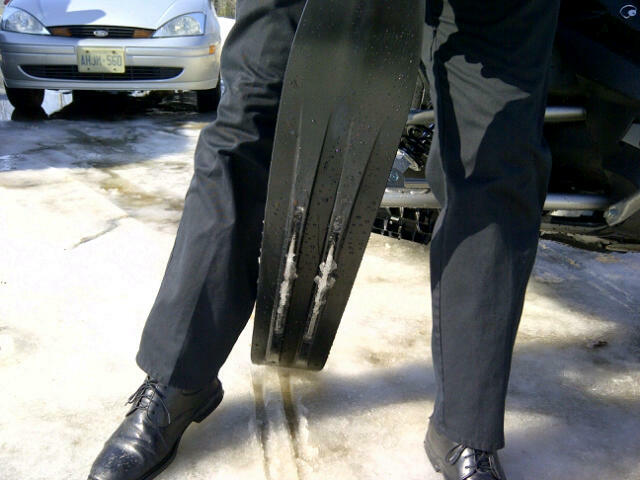 Long carbides eg: 6" provide more control to cut through deep snow. Short carbides provide great handling in suitable snow conditions. Yamaha Dual Tuner Skis provide excellent darting, predictable handling, minimal and controllable ski lift. Light steering effort, great straight-line stability and outstanding bump course handling.